There is nothing worse than discovering you have a sewage backup inside your home. Not only is it stressful, but it’s extremely unsanitary. Water problems can also cause severe damages to your home if not corrected quickly, so it’s necessary to take actual immediately if you need drain repair for your Hamilton home. Drain repair methods vary depending on the type of drain that’s in need of a fix. 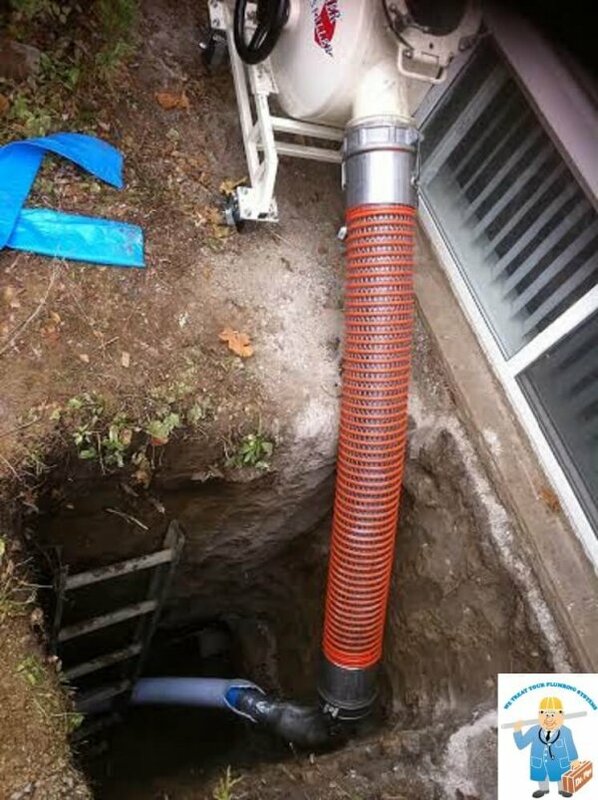 In some cases, drains can be repaired with a trenchless drain repair service, and in other cases, you may need a trench dug in your yard to locate and replace the faulty pipe. In most situations, you will find the trenchless drain repair method is a much better option. With trenchless drain repair, we don’t have to dig up a big portion of your yard. That means the time and money you’ve spent on your landscaping will not be ruined. Using a traditional drain repair method often ruins the landscape – sometimes costing hundreds to thousands of dollars after the drain work is said and done to return your yard back to normal. Using trenchless drain repair requires only one or two small holes to access the pipe. Trenchless drain repair requires less labor and we’re able to pass the cost savings on to our customers. You’ll get a resolution to your drainage problem for less money. Since our team won’t have to dig up your entire yard to repair your drain with the trenchless drain repair method, finishing the work is much faster. We’ll get in, get the job done, and get out of the way so you can enjoy your home and yard again! Give Dr. Pipe Drain and Plumbing a call. We use trenchless drain repair to minimize damages to your property and get the job done quickly and affordable.